You will LOVE this. Every woman that tries one on in my shop says, "Oooohhhhhh!!" ...and adds one (or more) to her wardrobe. 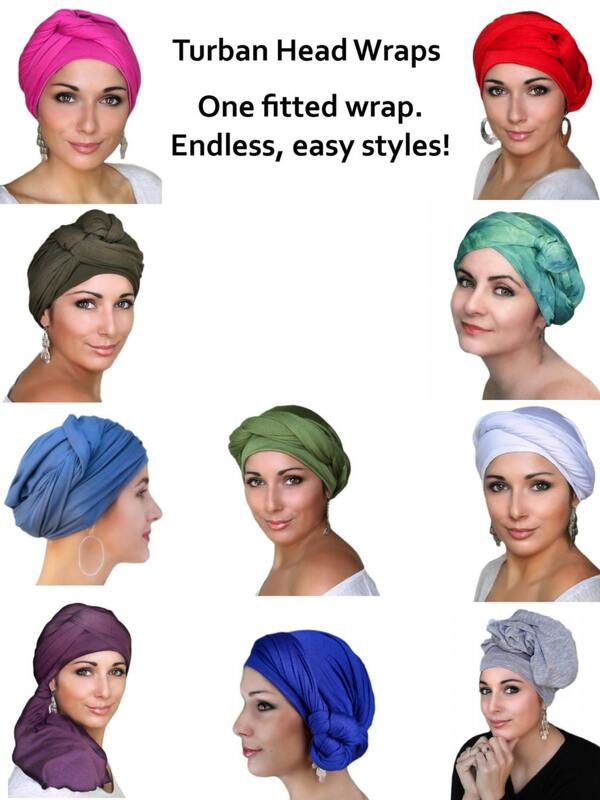 As long as a wrap scarf, but perfectly fitted with a seam, this wrap stays securely on your head as you create your favorite style. 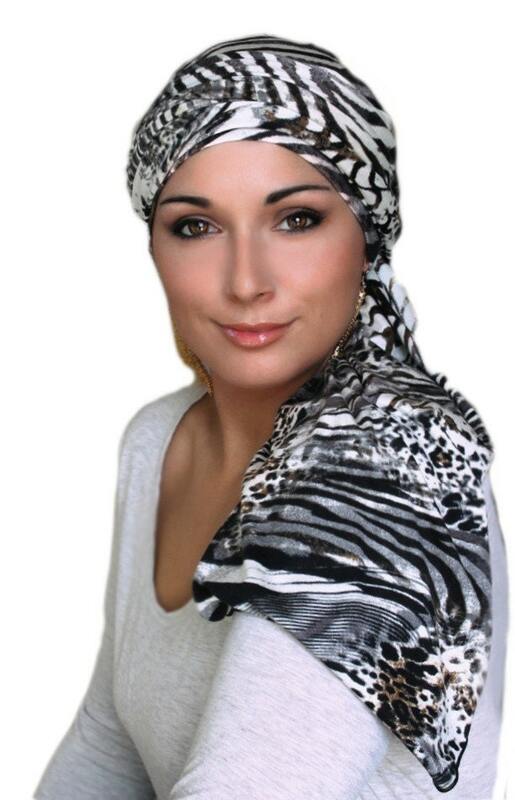 This design completely covers your head and provides fullness, comfort, and endless styling options. With this wrap there's no "flat head" look, and it won't slip off. 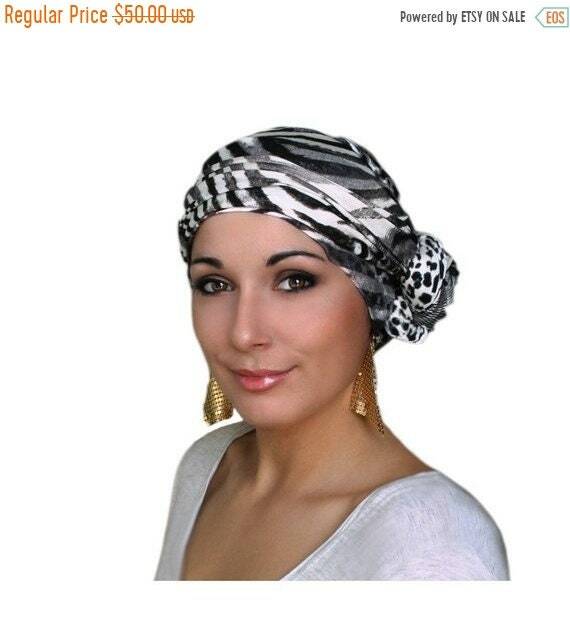 They are soft and comfy for chemo hair loss or alopecia and long enough to cover even long, thick hair, dreads or extensions. 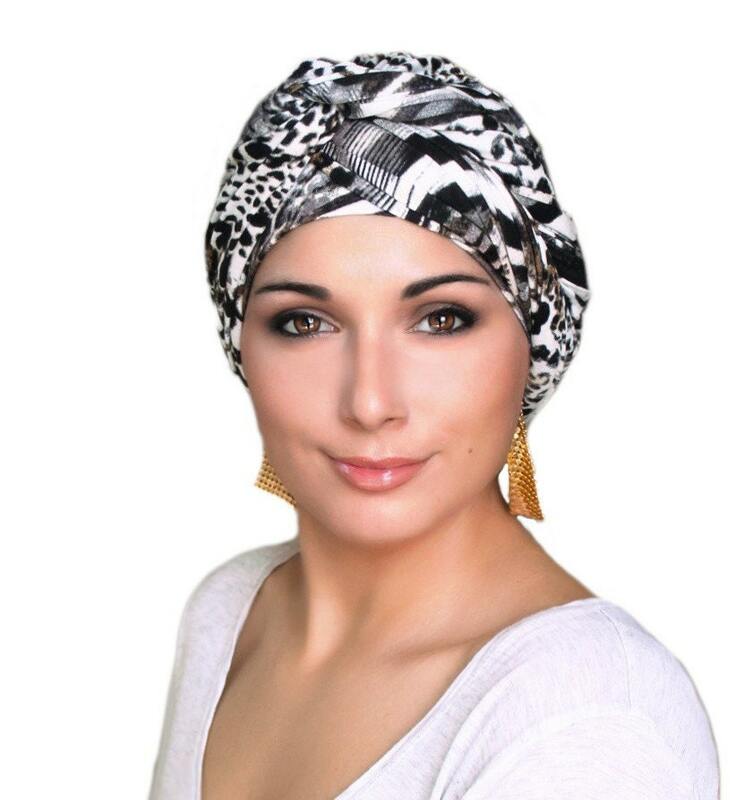 Wraps around your head 2-3 times make a gorgeous classic turban. Spread or twist the layers for your favorite look. Layer it with your own scarves.